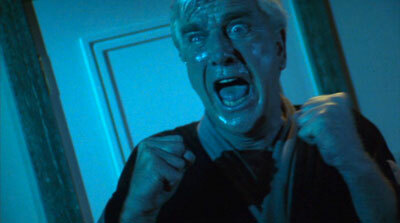 Of course I am a major fan of Leslie Nielsen’s mainstream endeavors such as Airplane! and the Naked Gun trilogy. I feel it’s necessary to honor the late Leslie Nielsen by pointing out a few of his roles/endeavors that you may not know about. Leslie Nielsen was also an advocate for the Three Stooges. In the 90’s, as popularity of the Three Stooges hit an all-time low, AMC launched a re-airing of The Three Stooges short films (which are comedy gold). 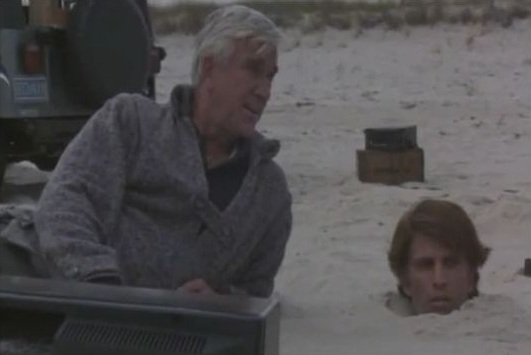 They cast Leslie Nielsen to introduce each short film in a classroom type setting in a school called “NYUK” (acronym for New Yuk University for Knuckleheads – a play on some terms from Three Stooges lore). His introductions to the short films were extremely heartfelt and added a great deal to the viewing experience. 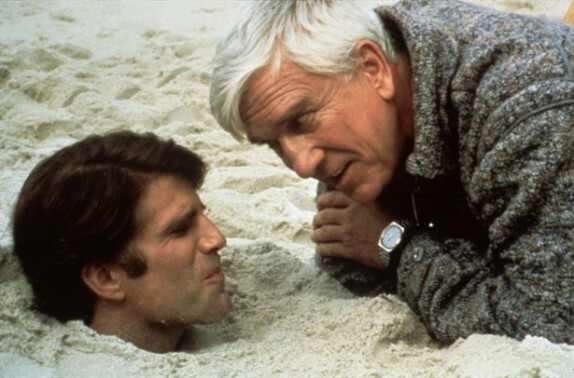 We lost Leslie Nielsen yesterday, but he is sure to live on through his fine legacy of great comedy and acting. I love The Stooges and I used to watch the AMC re-runs with Leslie Nielsen as the host all the time. It was a fantastic pairing.